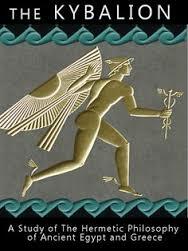 Originally published in 1908 by a person or persons under the pseudonym of “the Three Initiates”, is a book claiming to be the essence of the teachings of Hermes Trismegistus. The original English pdf text can be found in the website below. The intent of this book is not to erect a new Temple of Knowledge, but rather to place in the hands of the student a Master-Key with which he may open the many inner doors in the Temple of Mystery through the main portals he has already entered. From old Egypt have come the fundamental esoteric and occult teachings which have so strongly influenced the philosophies of all races, nations and peoples, for several thousand years. Egypt, the home of the Pyramids and the Sphinx, was the birthplace of the Hidden Wisdom and Mystic Teachings. In ancient Egypt dwelt the great Adepts and Masters, who have never been surpassed, and who seldom have been equaled. But among these great Masters of Ancient Egypt there once dwelt one of whom Masters hailed as “The Master of Masters. 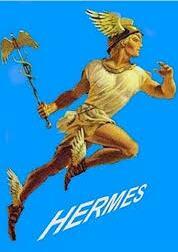 He was known as Hermes Trismegistus. He was the father of the Occult Wisdom; the founder of Astrology; the discoverer of Alchemy. Even to this day, we use the term “hermetic” in the sense of “secret”; “sealed so that nothing can escape”; etc., and this by reason of the fact that the followers of Hermes always observed the principle of secrecy in their teachings. They did not believe in “casting pearls before swine,” but rather held to the teaching “milk for babes”; “meat for strong men”. But there were always a few faithful souls who kept alive the Flame, tending it carefully, and not allowing its light to become extinguished. And thanks to these staunch hearts, and fearless minds, we have the truth still with us. But it is not found in books, to any great extent. It has been passed along from Master to Student; from Initiate to Hierophant; from lip to ear. When it was written down at all, its meaning was veiled in terms of alchemy and astrology so that only those possessing the key could read it aright. This was made necessary in order to avoid the persecutions of the theologians of the Middle Ages. The Hermetic Philosophy is the only Master Key which will open all the doors of the Occult Teachings! 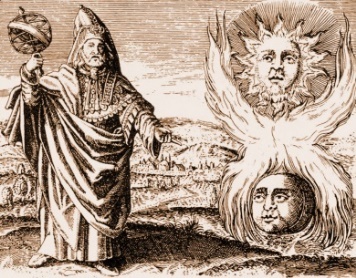 These teachings really constituted the basic principles of “The Art of Hermetic Alchemy,” which, contrary to the general belief, dealt in the mastery of Mental Forces, rather than Material Elements-the Transmutation of one kind of Mental Vibrations into others, instead of the changing of one kind of metal into another. 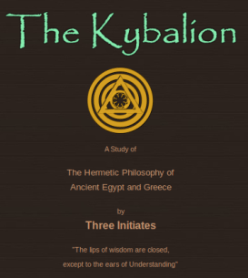 We herein give you many of the maxims, axioms and precepts of THE KYBALION, accompanied by explanations and illustrations which we deem likely to render the teachings more easily comprehended by the modern student. The original maxims, axioms, and precepts of THE KYBALION are printed herein, in italics, the proper credit being given. Our own work is printed in the regular way, in the body of the work. We trust that the many students to whom we now offer this little work will derive as much benefit from the study of its pages，as have the many who have gone on before, treading the same Path to Mastery throughout the centuries. This Principle embodies the truth that “All is Mind.” It explains that THE ALL is SPIRIT which in itself is UNKNOWABLE and UNDEFINABLE, but which may be considered and thought of as AN UNIVERSAL, INFINITE, LIVING MIND. It also explains that all the phenomenal world or universe is simply a Mental Creation of THE ALL, subject to the Laws of Created Things. The ancient Hermetists considered this Principle as one of the most important mental instruments by which man was able to pry aside the obstacles which hid from view – the Unknown. Its use even tore aside the Veil of Isis. Just as knowledge of the Principles of Geometry enables man to measure distant suns and their movements, while seated in his observatory, so a knowledge of the Principle of Correspondence enables Man to reason intelligently from the Known to the Unknown. 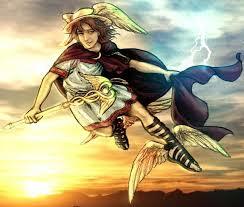 Studying the monad, he understands the archangel. This Principle embodies the truth that “everything is in motion”; “everything vibrates”; “nothing is at rest”. This Principle explains that the differences between different manifestations of Matter, Energy, Mind, and even Spirit, result largely from varying rates of Vibration. From THE ALL, which is Pure Spirit, down to the grossest form of Matter, all is in vibration–the higher the vibration, the higher the position in the scale. The vibration of Spirit is at such an infinite rate of intensity and rapidity that it is practically at rest–just as a rapidly moving wheel seems to be motionless. And at the other end of the scale, there are gross forms of matter whose vibrations are so low as to seem at rest. Between these poles, there are millions upon millions of varying degrees of vibration. From corpuscle and electron, atom and molecule, to worlds and universes, everything is in vibratory motion. This is also true on the planes of energy and force; and also on the mental planes; and even on to the spiritual planes. An understanding of this Principle, with the appropriate formulas, enables Hermetic students to control their own mental vibrations as well as those of others. The Masters also apply this Principle to the conquering of Natural phenomena, in various ways. These were old Hermetic axioms. It explains many of the old paradoxes, that have perplexed so many. It explains that in everything there are two poles, or opposite aspects, and that “opposites” are really only the two extremes of the same thing, with many varying degrees between them. To illustrate: Heat and Cold, although “opposites,” are really the same thing, the differences consisting merely of degrees of the same thing. Look at your thermometer and see if you can discover where “heat” terminates and “cold” begins! There is no such thing as “absolute heat” or “absolute cold”–the two terms “heat” and “cold” simply indicate varying degrees of the same thing, and that “same thing” which manifests as “heat” and “cold” is merely a form, variety, and rate of Vibration. So “heat” and “cold” are simply the “two poles” of that which we call “Heat”. The same Principle manifests in the case of “Light and Darkness,” which is the same thing, the difference consisting of varying degrees between the two poles of the phenomena. Where does “darkness” leave off, and “light” begin? What is the difference between “Large and Small、Hard and Soft、Black and White、Sharp and Dull、Noise and Quiet、High and Low、Positive and Negative”? The Principle of Polarity explains these paradoxes, and no other Principle can supersede it. And, considered of more importance by the Hermetists, it is possible to change the vibrations of Hate to the vibrations of Love, in one’s own mind, and in the minds of others. “Good and Evil” are but the poles of the same thing, and the Hermetist understands the art of transmuting Evil into Good, by means of an application of the Principle of Polarity. This Principle embodies the truth that in everything there is manifested a measured motion, to and fro; a flow and inflow; a swing backward and forward; a pendulum-like movement; a tide-like ebb and flow; a high-tide and low-tide; between the two poles which exist in accordance with the Principle of Polarity. There is always an action and a reaction; an advance and a retreat; a rising and a sinking. This is in the affairs of the Universe, suns, worlds, men, animals, mind, energy, and matter. They apply the Mental Law of Neutralization. They cannot annul the Principle, or cause it to cease its operation, but they have learned how to escape its effects upon themselves to a certain degree depending upon the Mastery of the Principle. They have learned how to USE it, instead of being USED BY it. The masses of people are carried along, obedient to environment; the wills and desires of others stronger than themselves; heredity; suggestion; and other outward causes moving them about like pawns on the Chessboard of Life. But the Masters, rising to the plane above, dominate their moods, characters, qualities, and powers, as well as the environment surrounding them, and become Movers instead of pawns. They help to PLAY THE GAME OF LIFE, instead of being played and moved about by other wills and environment. They USE the Principle instead of being its tools. The Masters obey the Causation of the higher planes, but they help to RULE on their own plane. No creation, physical, mental or spiritual, is possible without this Principle. An understanding of its laws will throw light on many a subject that has perplexed the minds of men. The Principle of Gender works ever in the direction of generation, regeneration, and creation. 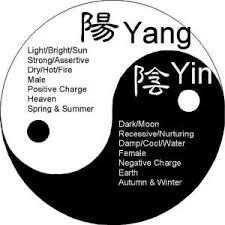 Everything, and every person, contains the two Elements or Principles. Every Male thing has the Female Element also; every Female contains also the Male Principle. If you would understand the philosophy of Mental and Spiritual Creation, Generation, and Re-generation, you must understand and study this Hermetic Principle. It contains the solution of many mysteries of Life. This entry was posted in 美圖趣文, 修心養性, 諸法實相 by wtsai. Bookmark the permalink. From THE ALL down to the grossest form of Matter, all is in vibration–the higher the vibration, the higher the position in the scale. Thanks for all your effort, it helps me a lot with understanding their idea.